Selenium is truly amazing, and there’s a video in this article proving that. Join us to learn about how you can save time and money (and make your testers happier!) on your next project. Automation testing beats manual testing many times, as it saves a lot of time, provides high level of accuracy, and requires less human force. Selenium – an open source tool for testing web applications – stands out as one of most popular and efficient test automation tools at present. In this article, we explain why we find Selenium truly amazing. Before going straight to Selenium, let us briefly get back to the two types of software testing – manual testing and automated testing. Manual testing rests on human labor force - QA testers manually perform software testing all day long with different data sets and success/failure rates. Poor chaps have to record and manually verify every transaction; hence, they are prone to fatigue and, obviously, errors. However, once Nikita’s boring experience as a manual tester ended: Everything changed when one day I discovered an instrument that allows recording actions and running them numerous times. With the help of Selenium, I could do tests mostly automatically, what, obviously, made me more productive. To cut a long story short, Selenium was founded as an automation testing tool to overcome the limitations of manual testing and make a tester’s job a lot simpler. Indeed, automation testing completely wins over manual testing. Why? Automated testing is much faster and demands less human efforts (companies might save their budgets on QA’s salaries). 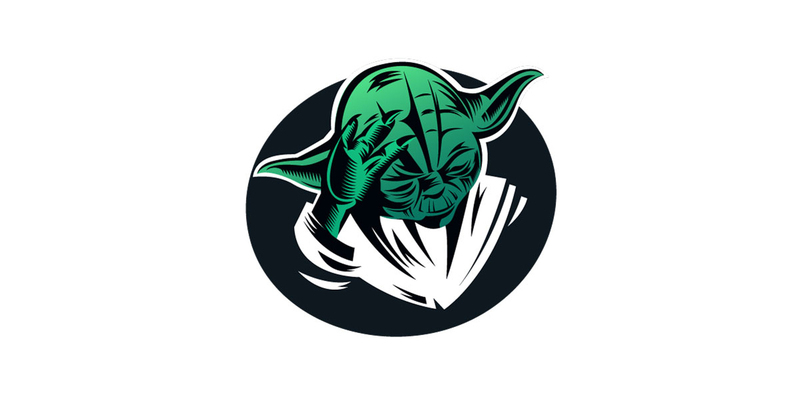 Moreover, automated testing reduces errors and allows frequent tests’ execution. In addition, it can be simultaneously performed in different environments and web-browsers. You might even schedule the result file for a particular time during the day. In a way, the creation of Selenium resembles a typical motivational movie. Imagine the early 2000s, when the test automation market was quite underdeveloped. A company called Mercury Interactive dominated the market with its test automation tool Astra Quick Test. The tool was far from perfect, as it could only run tests on Windows and supported a small number of browsers. Apparently, not everyone was happy with Astra Quick Test, including software engineer from California named Jason Huggins. When Huggins built a new advanced test automation tool, he named it Selenium in a reference to the chemical element recommended as an antidote to mercury. At present, Selenium consists of a package (or a suite) of tools. Selenium Suite consists of several components: Selenium WebDriver, Selenium IDE, Selenium Grid, and Selenium Remote Control (RC). 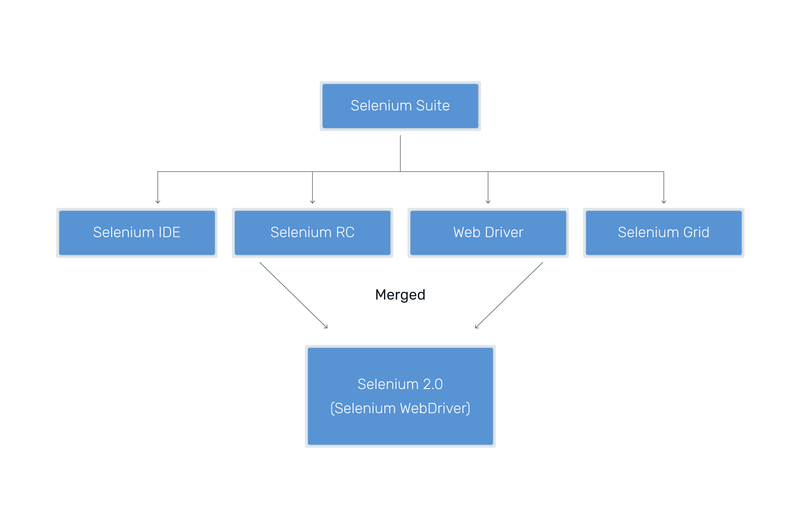 In 2008, Selenium WebDriver and RC were merged into Selenium-2, so in case you see the name Selenium-1, it only refers to Selenium RC. Mostly, when people speak about Selenium, they mean Selenium WebDriver – the most important product from the Suite. Indeed, Selenium WebDriver was the first cross-browser and cross-platform testing framework. With the help of WebDriver testers are able to control web interactions on a browser from the OS level as well as write scripts in various languages (Java, Perl, Python, C#, and others). In a way, Selenium WebDriver works as a taxi driver. When a customer gives instructions to a taxi driver, a taxi driver, in his turn, gives certain commands to his car. Analogically, when a tester commands WebDriver to interact with certain web elements, the WebDriver gives appropriate commands to the browser. The browser subsequently provides WebDriver with information about values and statuses of the web elements, and this data later turns into a script. All you need to start with Selenium IDE is to install the extension on your browser. Extremely easy to operate, Selenium IDE records users’ actions in the browser and later repeats them. It is a simple solution for quick reliable end-to-end tests. Certain companies might use Selenium IDE as a simpler alternative to Selenium WebDriver. Also, Selenium IDE can be extended with the help of different plugins. Selenium Grid is an extremely timesaving tool, which allows running parallel tests on multiple browsers and machines at the same time. Let’s say, you have to run 1000 tests. What will you do? Set up 10, 20, 100+ virtual or physical machines with the help of Selenium Grid, and save up to 100 % of your time compared to what it would take you running just a single machine. Parallel testing is another Grid’s helpful feature. Taken into account that scripts might run quite slow on certain browsers, you might launch your test in parallel in Chrome, in Firefox, in Opera… Moreover, with Grid you can combine different browsers and operating systems! In conclusion of the part 1, Selenium has revolutionized the testing world and spared QA testers from doing boring manual testing job. Today Selenium appears on software market as a suite of different products – WebDriver, IDE, and Grid. Among them, WebDriver is the most important product from suite, while Selenium IDE as a simpler alternative to Selenium WebDriver. Selenium Grid serves for running parallel tests on multiple browsers and machines at the same time. What is DevOps, and does your team need it? So, why is everyone talking about DevOps, and what it has to offer? Let’s figure it out now!